Power Autoshop will not share, sell, trade, rent, or distribute your personal information to any other companies or organizations. Your transactions are 100% secure with us. Customer's privacy and security are our top priority. Your information is very important and will be kept confidential. We are currently using Thawte for the digital SSL (Secure Sockets Layer) certificate to securely accept all online credit card payments. The technology & software are the industry standard for a secure online transaction. It the safest encryption method available and the latest safeguard technology of SSL 128 bit encryption to receive or transmit private and sensitive information securely. Therefore, your transactions are 100% secure with us. The most popular web browsers, Internet Explorer, Safari, Opera, Firebox, etc. use visual symbols (https/lock symbol) to let you know when they are in secure mode. These symbols are usually displayed at the bottom or top of the browser window. Our secured shopping cart will have https & lock symbol shown during your checkout/payment process. Your transactions are 100% secured. Wondering what this means? The Payment Card Industry Data Security Standard (PCI DSS) is a set of security standards designed to ensure that ALL companies that accept, process, store or transmit credit card information maintain a secure environment. The PCI Standard is mandated by the card brands and administered by the Payment Card Industry Security Standards Council. 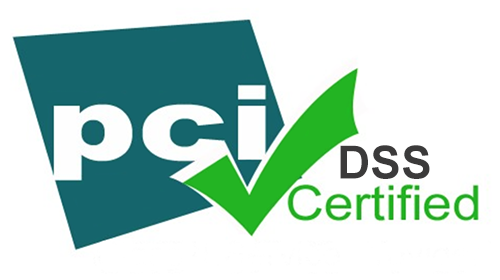 As a certified Level 1 PCI Compliant business, you can be sure that your transactions are 100% secure with us.